Testimonials - Empower Her Inc.
​"My daughter and I have attended over a dozen program since October 2016! What stands out to me about the organization is how well run it is, and how accommodating Danielle is. She is always willing to listen to my concerns and her willingness to come up with programs that not only benefit my daughter and me, but all of the clients." "On behalf of the staff and patients I would like to say thank you for directing your donations to the Complementary Services Department. This support is truly welcomed and greatly appreciated. "I just wanted to sincerely thank your organization for selecting me to be the recipient of your GIRLS Scholarship. I am so honored to be given this award and to pay it forward. Thank you for helping me continue my education. 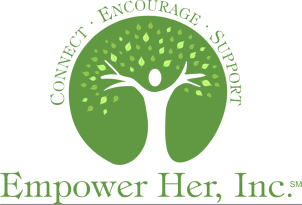 I think that Empower Her, Inc. is an incredible organization and I'd love to help you with anything you may need in the future." "Thank you so much for including me in your event. I love your organization and your mission. I will definitely be setting up an event soon for my girls." "​By the end of the sessions, the girls had a better understanding of the concepts of friendship and self esteem and how it applied to each individual and the meaning of the term friendship. We feel our girls greatly benefitted from the informative classes conducted by Mrs. Beerli. We highly recommend this program and feel it was helpful." "Thank you so much for running the Scout programs for my troop. The girls really enjoyed themselves and your programs were great!" So enjoyed the wine tasting event today held by Empower Her at Savino Vineyards. It was well-organized & a lot of fun...and I even walked away the raffle prize! "The Amity Regional High School Senior Service Learning Program was a great triumph this year. We could not have had this success without your organizations; participation. Thank you for providing your guidance, expertise, time and energy to our students."